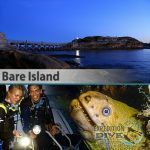 [1 dive only at this location] Sydney’s most popular dive location in terms of the number of divers that visit per square meters of actual site. 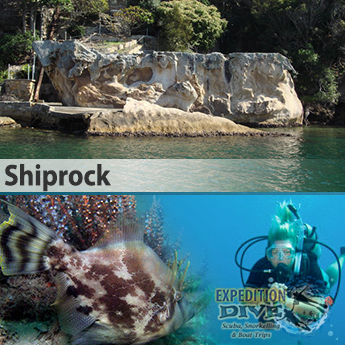 This dive offers the most easiest in terms of entry and exit in calm waters. Shiprock can normally only be dived for the short period between 25 minutes before and about 30 or so minutes after the peak of high tide (you can also dive at low tide – in fact since 2000 we have sometimes had better visibility at low tide than high). 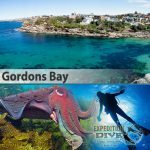 Free pick ups/drop offs available at closest train station point to dive site or all locations accessible by bus / car within 30 minute drive from Sydney centre. As peak tides here are approximately 20 minutes later than at Fort Denison (Sydney Harbour) it is recommended that divers enter the water at the time that the high tide is forecast for Fort Denison and aim for a dive of about 50 to 60 minutes duration (70 minutes is easily achievable). High tide is the preferred time to dive, offering better visibility and currents which assist you. You should ensure that you get in the water exactly at the forecast peak of the tide. However, even when you abide by these rules, the tide can sometimes have its own mind and you can still get caught out. It seems that on high tides and when there are very large easterly or north-easterly seas, the change of tide is delayed, with the tide unable to overcome the large seas. Eventually the tide overcomes the seas and it changes. This delay can be between 5 and 40 minutes.